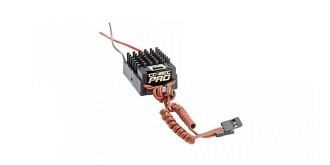 The Castle PRO BEC is intended for use in larger RC cars, electric aircraft, and helis that have high power demands for their radio/servo systems. It is ideal for most electric helis 500-size and larger. It will also work well in larger electric powered RC aircraft and RC crawlers and Monster Trucks that have high-powered servos.